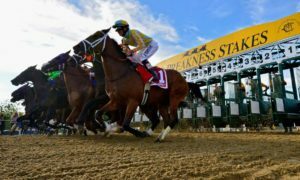 The early odds are out for the 2017 Preakness Stakes. To the surprise of no one, Kentucky Derby winner Always Dreaming is favored. Always Dreaming opened with EVEN odds to win the Preakness Stakes according to oddsmakers. His prime contender is Irish War Cry, who is +550, followed by Classic Empire at +650. Lookin At Lee, meanwhile, is +1100, as is Battle of Midway. The other long-shots to win in a few weeks include Cloud Computing at +1400. Conquest Mo Money, Gunnevera and Malagacy are +1600, respectively. The contender with the longest odds to win at Pimlico is Practical Joke at +1800. 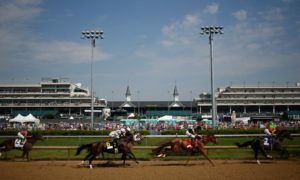 Always Dreaming won the Kentucky Derby on Saturday at Churchill Downs by 2 3/4 lengths. It was a blowout in horse racing terms, as Always Dreaming was never threatened down the backstretch. His odds in the morning were 5/1, but they closed at 4.70. Lookin At Lee and Battle of Midway finished second and third, respectively. Meanwhile, Irish War Cry, who was supposed to challenge Always Dreaming for the win, finished a disappointing 10th. Classic Empire finished fourth, Practical Joke finished fifth, and Gunnevera finished seventh at Churchill. 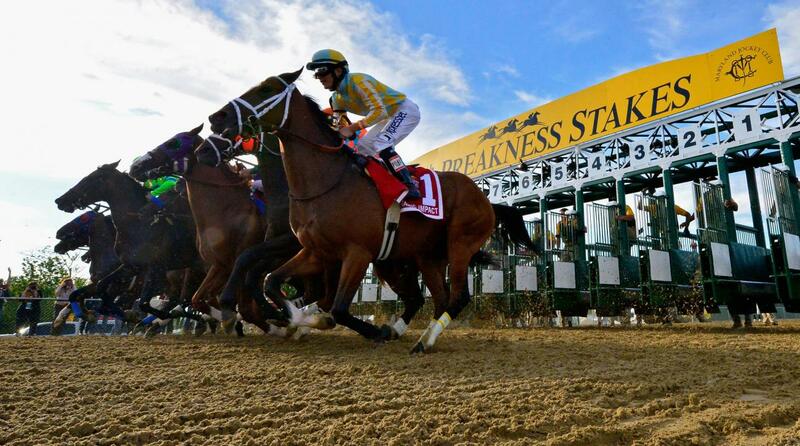 The Preakness is scheduled for Saturday, May 21. The first post opens at 10:30AM ET, while the last post is set for 6:45PM ET. These times are subject to change. 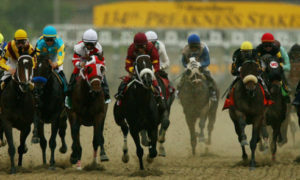 The race is held annually at Pimlico Race Course in Baltimore, Maryland. The distance is 1 3/16 miles, or 9.5 furlongs. Exaggerator won the event last year, while Triple Crown winner American Pharoah accomplished the feat in 2015. California Chrome won in 2014. Always Dreaming has 4/1 odds to win this year’s Triple Crown. He would need to complete the final two legs, the Preakness and Belmont, in order to achieve the honor.